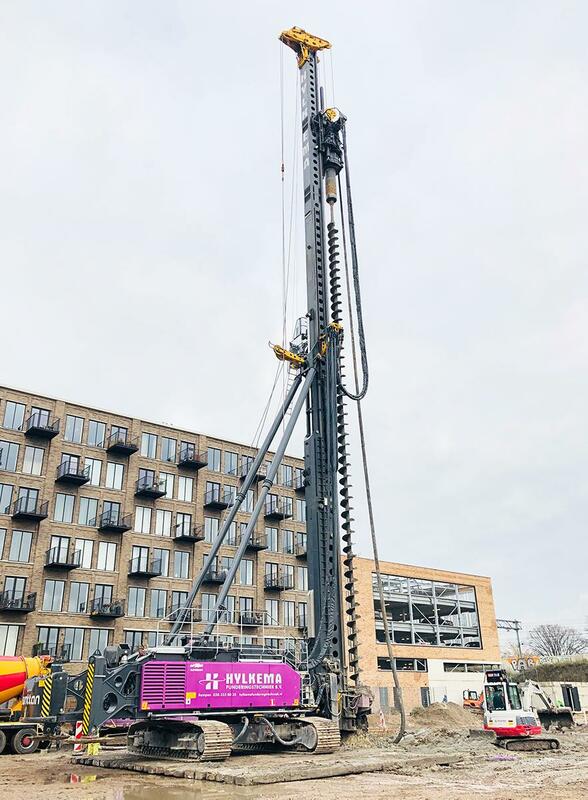 Hylkema Funderingstechniek B.V. working with their Junttan MPx90 multipurpose drilling rig in Eindhoven, Netherlands. 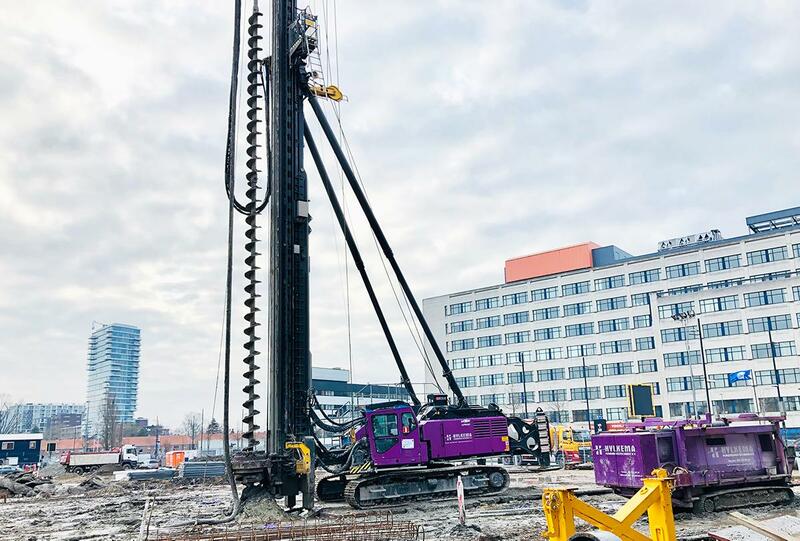 The project is in old Philips industrial area, where the tallest apartment building of Eindhoven will be build, next to the PSV Eindhoven football stadium. 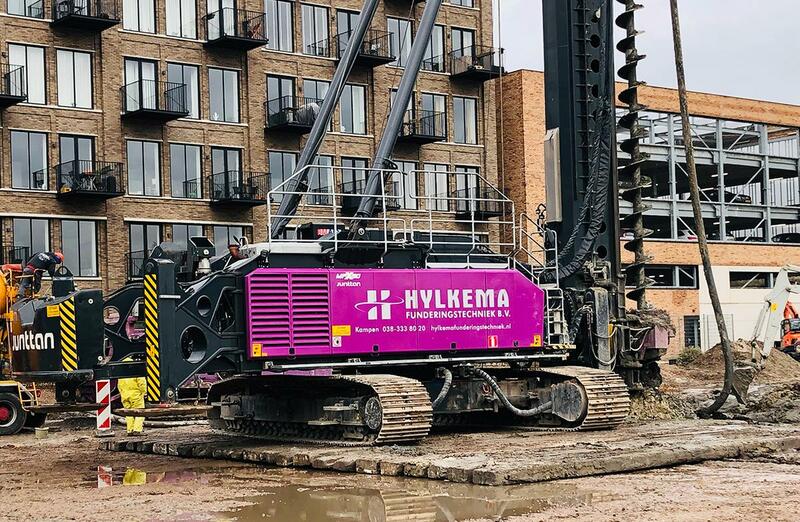 The job has 144 pcs CFA piles of 30m in depth and 650mm on diameter. 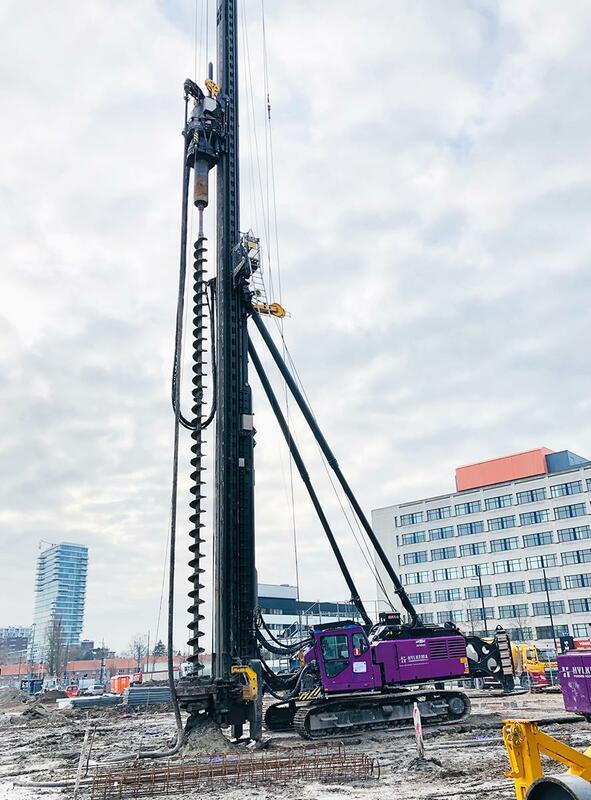 The customer is very satisfied with the daily production of Junttan MPx90, and overall with the MPx90 rig and it’s performance. Read more on MPx series.